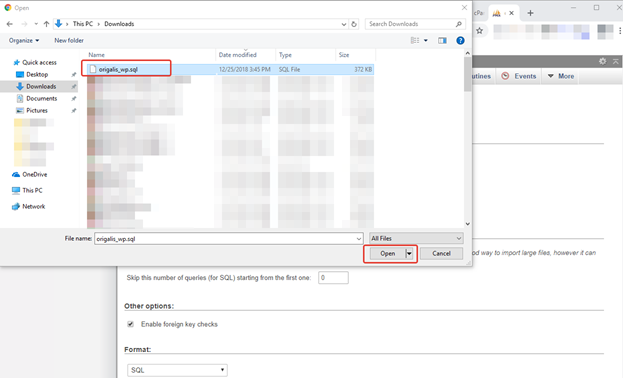 Select the database you would like to backup from the left navigation sidebar. IMPORTANT: ‘information_schema’ is a system database, please keep it as is for correct work. 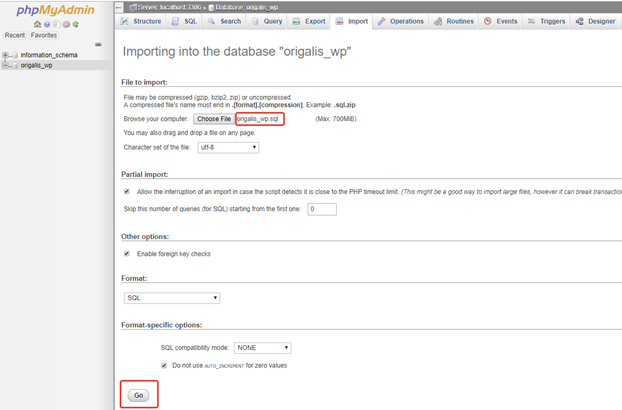 ‘origalis_wp’ is our example website database. Tick on the 'Quick' export method and click 'Go'. Database export file will be saved on your computer. 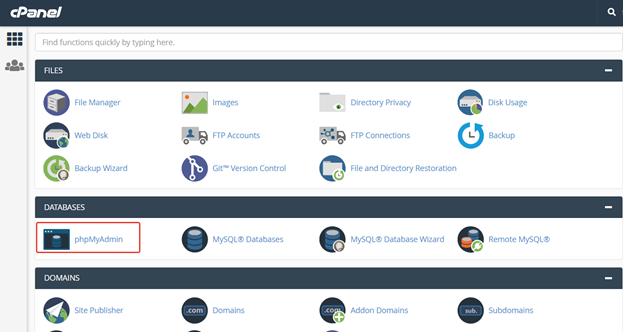 Select the database you want to restore from the left navigation sidebar. 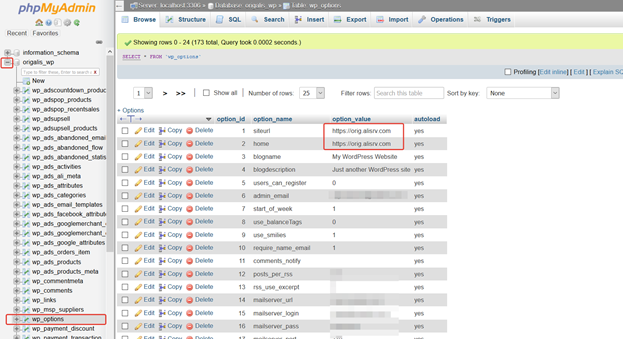 To avoid creating duplicated tables, you need to remove all tables from the database first. Scroll down the list of your database tables, click the 'Check All' check box, then click 'With selected:' -> 'Drop'. Click the 'Choose File' button to browse for the MySQL backup. Choose the exported file of your database. Once you see ‘Success’ message, the database has been imported.